Livin' Life With Style : Awesome Night at DisneyLive! Mickey's Music Festival! Awesome Night at DisneyLive! Mickey's Music Festival! Well the count down is finally over because last night was DisneyLive! Mickey's Music Festival and boy did my son and niece have a blast! It was held at the General Motors Centre in Oshawa. I was really happy about that because there isn't a bad seat in the house, which is great especially if you have kids. The show was around 1 1/2 hours in length with a 15 intermission in between. Not just Mickey and his friends were there. They also had many characters from The Little Mermaid, Aladdin and Toy Story. What I really liked, is throughout the show they got the kids involved with games, dancing and singing. Both my son and niece hardly sat in their seats the entire show, they just loved dancing to all the music. On our way home my son was constantly asking if we can go again, so hopefully another show will be coming soon! It's always great to hear from one of my followers. 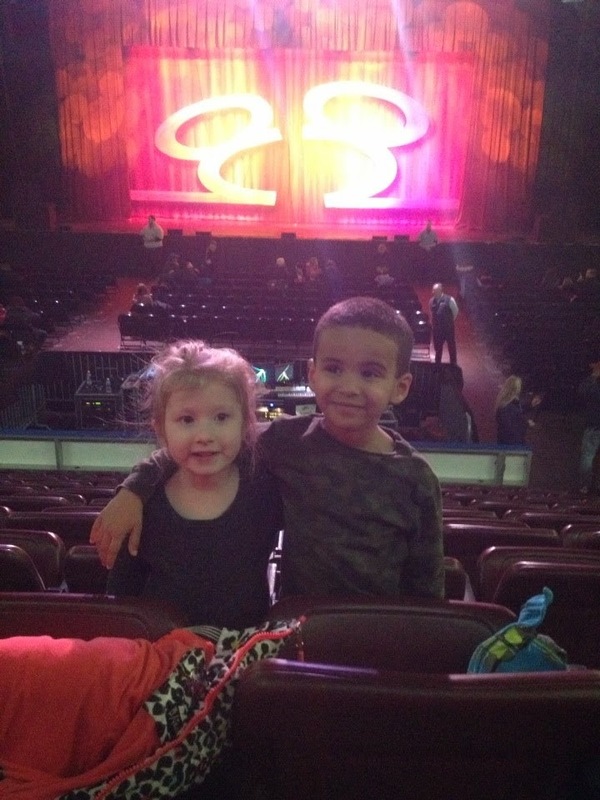 Lisa Hemingway who won my giveaway to the show sent me this picture of her daughter and nephew all excited for the show to start! Thanks so much for sending me this picture Lisa!